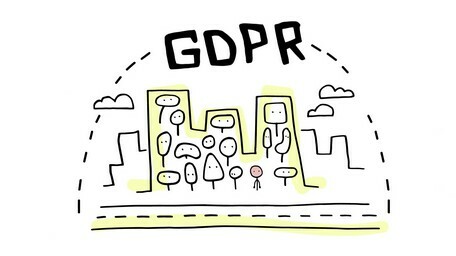 The GDPR (General Data Protection Regulation) seeks to create a harmonised data protection law framework across the EU and aims to give back to data subjects, control of their personal data, whilst imposing strict rules on those hosting and processing this data, anywhere in the world. IBM has created a 'GDPR framework' with five phases to help achieve readiness: Assess, Design, Transform, Operate, and Conform. The goal of the framework is to help clients manage security and privacy effectively in order for them to reduce risks and therefore incidents. IBM services and solutions are available to support you at each phase in your own GDPR readiness journey. The GDPR needs you to be on top of encryption, access controls and monitoring through to incident breach readiness and reporting. IBM Security services and solutions can accelerate your readiness for each of these. Protection of personal data needs you to discover and classify categories and types of data across the business; then prepare for Article 30 Records of Processing, mapping processing activities to personal data use. Our capabilities can help support your remediation, lifecycle management, consent and DSAR (Data Subject Access Rights) requests. Rather than merely complying, seize the opportunity presented by the GDPR to set your company apart from the competition using the IBM Cloud. Designed with built-in data security and privacy services, the IBM Cloud offers the platform and tools to help safeguard sensitive data wherever it resides. We support marketers throughout their GDPR journey. Our AI-powered marketing solutions, accompanied with business expertise, will help you stay compliant with industry regulations. Using IBM data storage and processing products to manage GDPR readiness, you can gain increased transparency and control over your data, positioning your company to realise efficiencies, identify opportunities and drive innovation. A Little Bee Book: EU General Data Protection Regulation – How it Works. Adapted from a variety of sources by Bob Yelland. Using real-world examples, this paper explores five areas associated with GDPR compliance and how blockchain might address each. Preparing your business for the changing realities of data protection in the European Union. Learn more about how to use IBM's five phase methodology. Learn how IBM is helping clients in getting ready for the GDPR. This paper takes a closer look at how HyTrust, Intel, and IBM can help simplify your GDPR compliance efforts. Welcome to your new personal data workout: in this series the ‘GDPR Coach’ offers recommendations on how to get into shape to thrive in the new data era. How to take the complexity out of the GDPR? IBM is a recognised leader in data protection and complies with data privacy laws around the world. In preparation for the European Union’s new General Data Protection Regulation (GDPR), which came into effect on May 25, 2018, IBM established a comprehensive compliance framework to ensure GDPR compliance for all IBM products and services. As part of this global program, IBM reviewed and enhanced IBM products and services for GDPR, developed GDPR-ready contracts for clients and suppliers, and actively engaged with clients and suppliers on GDPR compliance. As part of IBM’s ongoing commitment to privacy by design, IBM has embedded data protection principles even more deeply into its business processes, products, and services so that our clients can better meet their own data protection objectives. In addition to enhanced security, IBM offers innovative data privacy and governance solutions that can assist clients and partners with GDPR compliance. Notice: Clients are responsible for ensuring their own compliance with various laws and regulations, including the European Union General Data Protection Regulation. Clients are solely responsible for obtaining advice of competent legal counsel as to the identification and interpretation of any relevant laws and regulations that may affect the clients' business and any actions the clients may need to take to comply with such laws and regulations.